Rank & File: happy (late) easter! i tried to post on the actual easter, but apparently it didn't go through, so better late than never. i've been neglecting my blogging duties! i'm back in the saddle now, though. 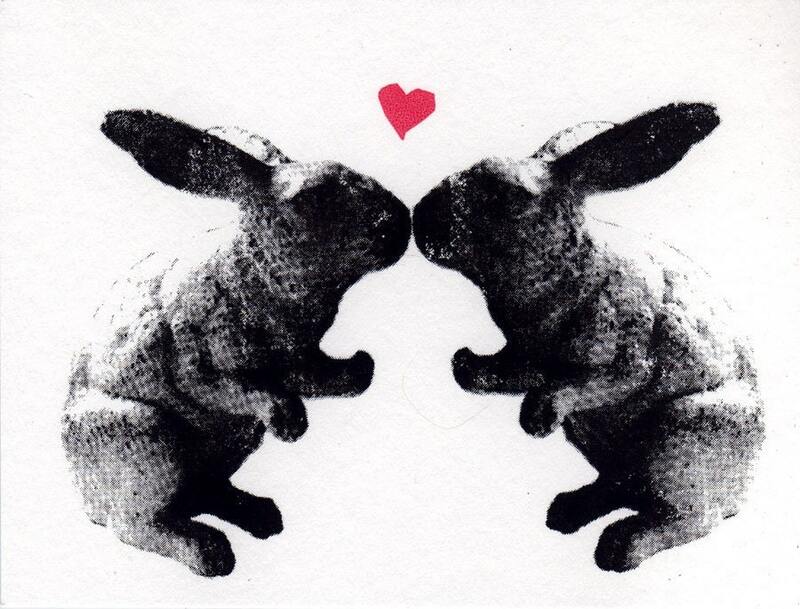 rabbit love print by oh my cavelier for $15. it would look so cute on my new green wall! easter weekend proved to be successful in the treasure hunting department. went to hunt & gather in s. minneapolis. pictures coming soon of my goodies.